An album with preview images released by Lucasfilm for the upcoming episode "Blood Sisters"
It's awesome that we're finally beginning to learn more about Sabine's backstory. 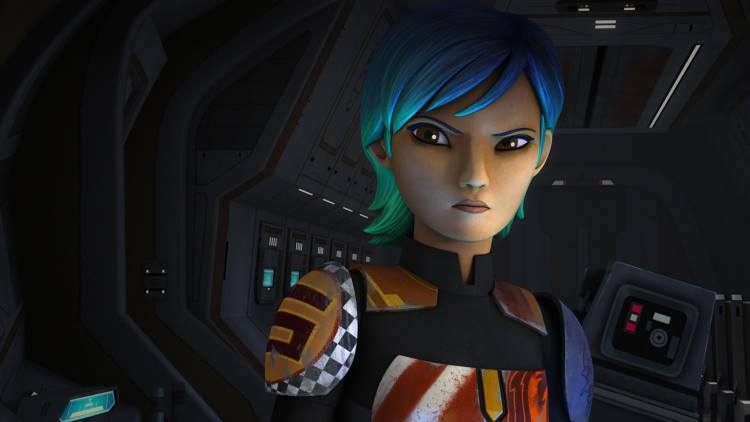 We know a lot transpired on Mandalore during the Clone Wars, and Sabine has hinted at her time at the Imperial Academy on Mandalore. Learning more about her journey to becoming a Rebel, and what role Ketsu played in it, is going to be very interesting. "Blood Sisters" airs Wednesday, November 18th at 9:30pm ET/PT on Disney XD! Also, be sure to listen to our Star Wars Rebels Podcast "Live From Lothal" where we break down and discuss each episode!